IN a quiet dance studio in Mandurah’s light industrial area, a dozen or so people with Parkinson’s and their partners are taking part in a dance class that offers renewed confidence and happiness. Margaret Finnie’s husband Allan was diagnosed with Parkinson’s 11 years ago. 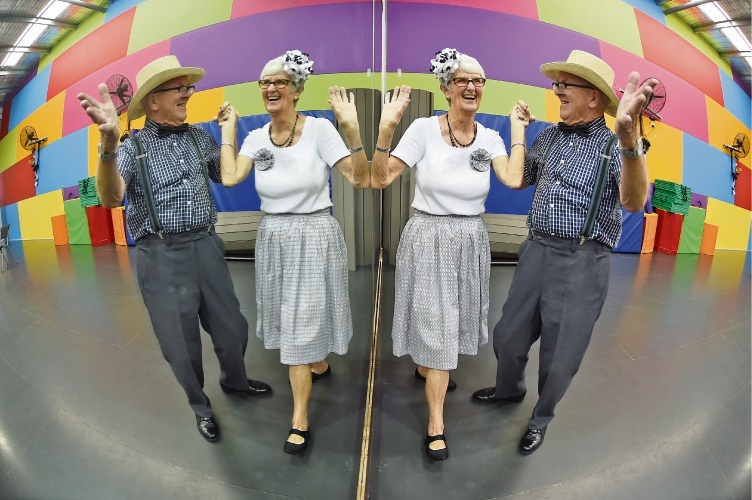 The Erskine couple has attended Mandurah Parkinson’s Support Group meetings for three years where they found out about the Dance for Parkinson’s program. The one hour class is held at Wicked Dance Studios in Reserve Drive on Thursday mornings. “We find the dance classes very enjoyable,’’ Margaret said. “I don’t think people appreciate what it can do for them. “The teachers are trained and very good and as well as working on minds and bodies, we have a laugh and lots of fun. The choreographed classes are held in six-week themed batches. The My Fair Lady-themed classes have just finished and the next theme will be moon music. “Whether you can do it or not doesn’t matter, it’s just trying that’s important,” Margaret said. Classes cost $10 a head and are held between 10.30-11.30am. This month is World Parkinson’s Awareness Month. To find out more, call 6457 7373.